Rice Krispie Treats. The dessert everyone loves. There is no doubt that at some time in your life you have put this tasty treat into your mouth (unless you really dislike marshmallows that is). 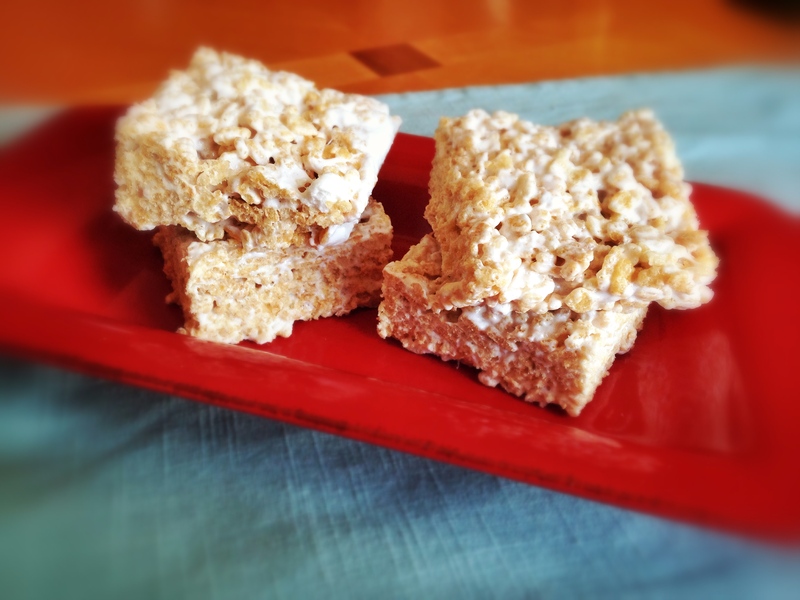 And at some point in your life, you have probably made rice krispie treats. My husband is a youth minister. Whenever I need to make a dessert for some youth event, rice krispie treats are ALWAYS on the list. Partially because they are super easy to make, but also because they are allergy friendly. We have students in our youth group that are allergic to soy and dairy. But don’t rice krispie treats have butter, and doesn’t butter contain milk? Why, yes they do! But I don’t use butter. I use a secret ingredient. Let’s face it. We’ve all made rice krispie treats (or at least tried biting into one) that have turned out rock hard. Or maybe they may not be as marshmallowy as you like. You can follow the recipe to the letter, and yet something went wrong somewhere. Amazing that something that has only three ingredients can turn out so badly at times. When I started making “allergy friendly” rice krispie treats, they started turning out perfect every single time. Perfectly marshmallowy. Perfectly bendable. Perfectly melt in your mouth. I can honestly say that no matter how many pans of rice krispie treats I make for an event, I will never have one left to bring home (unless I intentionally hide one before I even put the tray out). The last time I made two big pans of rice krispie treats I accidentally made one batch with butter. My second batch I realized my mistake and used canola oil. When I went to cut them, the batch made with butter were WAY harder to cut than the batch with canola oil. So save your hand from trying to cut rock hard rice krispie treats, and eliminate your risk of cracking a tooth while trying to bite into one, and make the simple switch of replacing butter with canola oil. 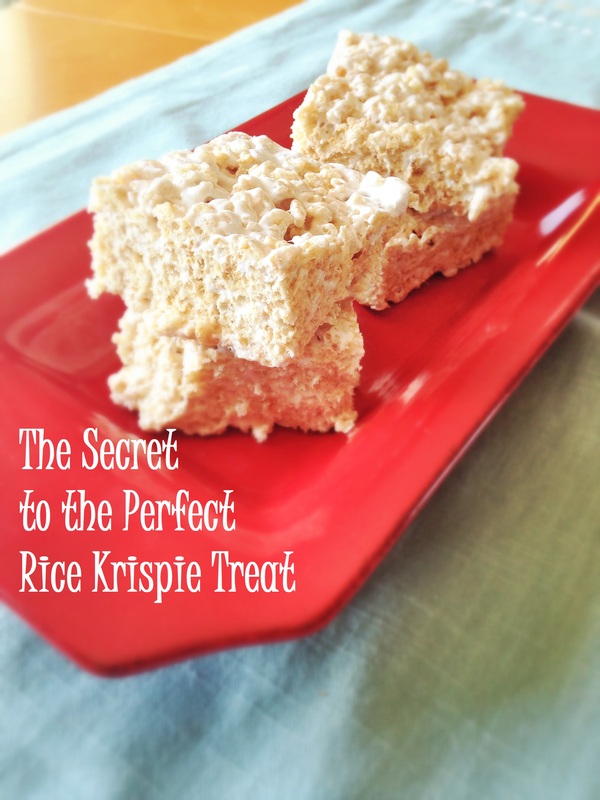 Your rice krispie treats will turn out perfect every single time! 1. Place marshmallows and oil in a large microwaveable bowl. Cook for 1 minute. Check to see if marshmallows are melted enough. If not, place them back in microwave for 30 seconds. 2. Mix rice krispie cereal into the marshmallow batter. 3. Spread mixture evenly into a bar pan (about 1 to 1 1/2 inches deep). Let set for awhile before cutting. This entry was posted in Recipes and tagged dessert, gluten free. Bookmark the permalink. I just made rice krispie treats with peeps last week, and yes, I used butter. Most of them turned out fine, but I had one batch (I used different layers of colors) that was much harder than the others. I think I cooked the marshmallow too long, and sugar, as it cooks, becomes more brittle. Anywho, I’m going to try the canola oil next time! Thanks for the tip! I’m glad I found your post through the Titus 2 Tuesday link party. Fun tip, thanks! Found you at Coast charms link party! thank so much for this great tip. Next time I make Rice Krsipie treats I am going to make them your way. Thanks for linking up at Tell Me About It Tuesday. We hope you hop over and share with us again next week. Visiting from ABFOL link party! 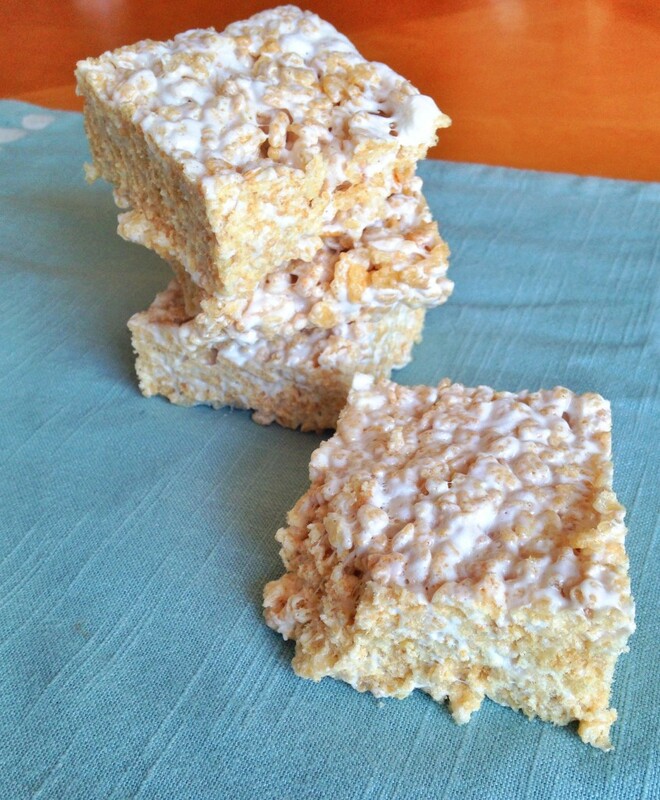 I love rice krispies and this recipe looks so much better than the original one I’ve always made. Thanks for sharing! Hmm would never have thought of using aything but butter but what a great idea especially if it makes them no-fail! I will definitely be giving these a try. Thanks for sharing on the Four Seasons Blog Hop! A great tip for this classic treat! Hope you are having a great weekend and thanks so much for sharing your awesome recipe with Full Plate Thursday. 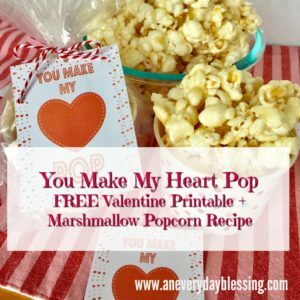 Thanks so much for linking up with us over at Tell it To Me Tuesday. We hope to see you linking up with us again next week! This is such a great tip! I am going to give this a try. Thanks for sharing the recipe (and secret ingredient) with Share Your Cup. i just made a batch using this recipe and they turned out great! i was a little worried they’d lack that classic buttery taste that you expect with rice krispies, but the substitution hardly hurt the flavor at all. this recipe filled a 13x9x2 inch pan to the brim, so make sure you have the right size container before you start. I mad ethis recipe, but only 1/2. I felt like it had too mich of an oily taste even though it was 1/4 cup. Next time I will cut it down a little more, but it was still good. My daughter has so many food allergies and until now I have used coconut oil which gives them a coconut flavor. So this was a nice change. These sound awesome! Can you tell me what size bag of marshmallows you used? My grocery store has two sizes. Thanks! !